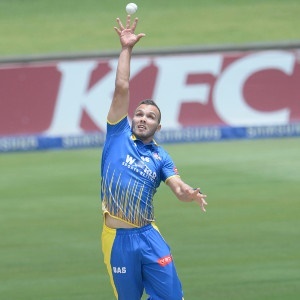 Cape Town - An exceptional return of three for 25 by Dane Paterson proved key as the Cape Cobras hit back to overcome the Warriors by 10 runs in their RAM SLAM T20 Challenge encounter at Boland Park in Paarl on Wednesday. The Proteas fast bowler sent down two critical overs at the cost of 15 in the final five overs to deny the visitors, who looked in sight of the 160-run victory target at the 15 over mark when they needed 48 with seven wickets in hand. Paterson was given superb support by Rory Kleinveldt (1/16) - both men having bowled their full complement of overs - ensuring the hosts recorded a third straight win that vaulted them to second on the standings. Colin Ackermann top-scored for the Warriors with 55 (41 balls, 4 fours), and when the right-hander was going, it appeared his side was coasting to victory. That was until the intervention of Paterson. The Cobras had earlier won the toss and batted first, but blew a good start to eventually end on 159/6. Proteas pair Hashim Amla (52 off 36 balls, 3 fours, 1 six) and Temba Bavuma (42) put on 90 for the first wicket, before watching their side slump to 122 for four in the 17th over. But George Linde's unbeaten 52 (30 balls, 3 fours, 2 sixes) rescued them to a competitive total - one they would go on to defend. The Cobras travel to Durban to take on the Dolphins, while the Warriors will tackle top of the log Titans in Benoni. All games get underway on Friday at 18:00.